Some contemporary jazz artists just seem to carry a very valid “can’t miss” aura about them. 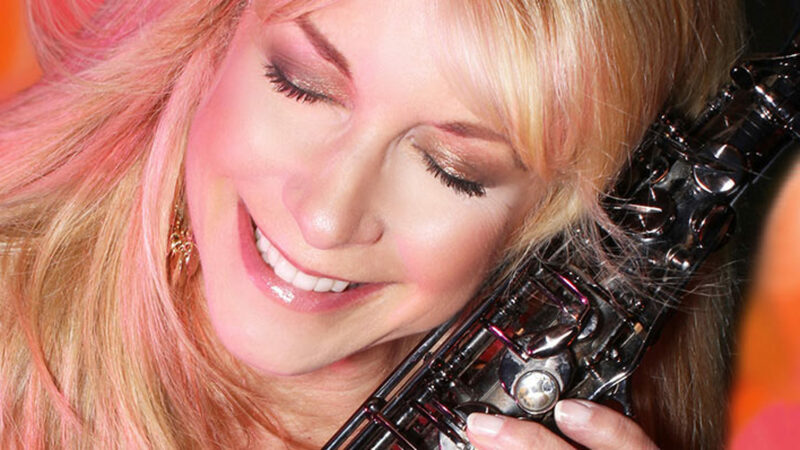 The lovely and talented saxtress/vocalist Paula Atherton is certainly one of them in this writer’s humble opinion. Out with her fifth release, Shake It, she does, in fact, shake up the groove, the soul, and just plain comfy vibes nestled in all c-jazz fans. Of course, if you’re a fan of hers, you have come to expect this as simply part of her beautiful and powerful music and character. Joining Paula here are cool guitarist Nick Colionne and The Rippingtons’ keyboardist Bill Heller, both of whom offer their writing skills to the project, as does guitarist Lou Giminez. Here on Shake It, you have just gotta love the sassiness, the sultriness, the sexiness, the buoyancy of this music. It’s got everything you need for a satisfying listening experience and then some. Take for example, her very clever choice of a cover to kick off the album – War’s “Low Rider.” It’s got that slickness and that deep-down fire just right for starting a party like this. She then swings it out with an up-tempo finger-snapper called “Long Tall Cool One” that beckons you to the dance floor. Talk about sass and class. This one has that and more. She follows that with a tight and thick piece called “Into the Night.” It carries a bit of that old TV detective mystery series theme feel, and many of you will also hear some similarities to that classic Temptations’ “Papa Was a Rolling Stone” bass line. Serious yet fun stuff. The saxtress also offers her sterling vocals as icing on the cake on tracks like the bluesy/soulful “Good Love Gone Bad” — certainly one of my faves here.